Meet Beverley Cheng. After leaving her secure, full-time insurance job, Beverly dove into the world of entrepreneurship! 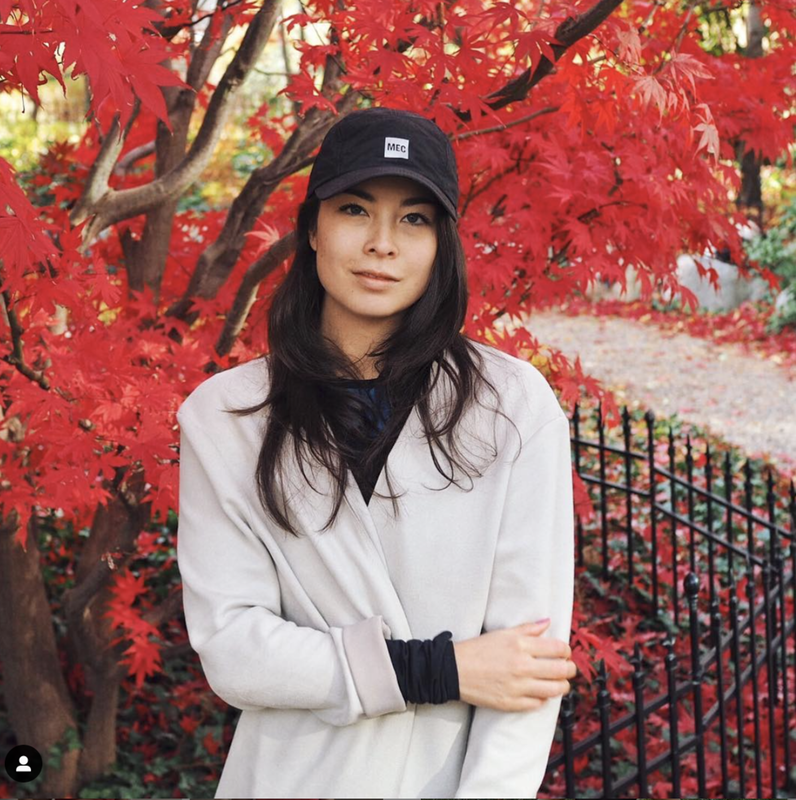 She is now a self-employed fitness trainer, sports model, and blogger in Toronto! She started her blog, Born to Sweat, back in 2014 and it has since grown each year, becoming a go-to platform for workout videos, recipes, and tips and tricks to living your best healthy life! With over 74,000 followers on Instagram, Beverley believes we were all born to sweat! It’s your average morning, tell us what your morning routine looks like? I just started a new morning routine when I came back from travelling this year! Every Monday to Friday I wake up at 6:30 AM. I light my Saje diffuser (yes, light a candle! It’s so quaint), and write in my journal. I’ll write a paragraph about whatever is on my minds, and then I write one goal for the day. I also include my goals for 2019, and my 5 year vision. I usually workout either at 10 AM or 2 PM, whatever works with my schedule, so it changes. I work from home most days, but on Wednesdays and Fridays I teach morning classes, so I will jump on the streetcar and head there to teach for 8 AM. What is Born to Sweat? Born to Sweat is a brand dedicated to helping others pursue and thrive within their fitness journeys. Under the Born to Sweat umbrella, I run my social media accounts, workout classes, fitness competitions, retreats, online training programs, and more! What’s your favourite way to get your sweat on? How do you stay motivated during the cold winter months we have here in Toronto? I don’t stay motivated during the cold months - at this point in my life, working out is simply a routine for me. Cold weather, warm weather - it’s hard to stay motivated all the time, cause there’s ALWAYS going to be an excuse. Make it a priority and don’t let yourself back out of it. One thing that I have been doing more recently though is recruiting friends to workout with me. It’s so much more fun to do a 1 minute plank if you have a buddy who is suffering beside you too! How has fitness changed your outlook on life? Fitness has changed my entire life. It gave me friendships, happiness, courage and confidence. It took me out of a boring job in insurance, and gave me the ability to work for myself. I am a happier person, with more energy and more fulfillment. Without fitness, I would not be who I am today. How do you unwind after a busy week/day? I cook and clean (yes that actually calms me down haha). I talk with my fiance about what our days were like and what we got done, and what our workouts are (yes I’m obsessed haha). I like to drink some sort of tea in the evening, watch Madmen, or read my book. I try to be in bed by 10:30 PM these days. You have total Instagram goals going on when it comes to taking photos, what advice to you give people when they compare themselves to others on Insta? Get off your phone and stop living your life through Instagram. People will post the best photos of themselves all day long because that is what captures attention. It’s also Instagrams JOB to keep you scrolling through their feeds. 99% of the time, what you see on social media is not authentic and it’s not real life. Everyone gets into their black hole of Instagram from time to time, but try not to make it a habit. It will make you unhappier in the long run, constantly playing the comparison game. I avoid eating after 8 PM during the weeks, as when I used to do that, I would feel so bloated and uncomfortable the next day. So I brush and floss my teeth around 8/9 PM every night. At the same time I’ll do my skincare routine (Vichy Mineral 89 serum, a thick night cream, and eye cream). Sometimes I’ll Netflix, sometimes we’ll watch a Raptors game if it’s on. I try to always read before bed, otherwise I’ll be up all night. And I avoid looking at my phone past 9 PM. What is something you want people to know about you that they may not know already? My humour is superrrrr sarcastic and dry. So if you don’t know me well and take all my words at face value, you will probably not understand why I have any friends at all. Hahaha. What does Healthy is Hot mean to you? No matter your shape, size, weight, gender, height, race, or ANY of that, as long as you make a conscious decision to be healthy for YOUR body, that’s all that matters.